An illustration inspired by the classic tale of Alice in Wonderland. Monochrome design from our collection of rabbit wall stickers. 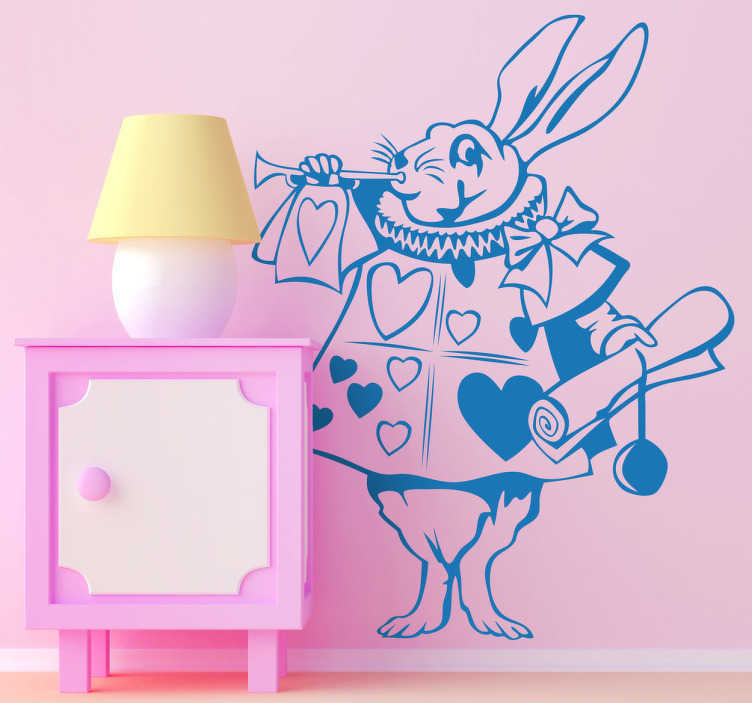 If your children love this famous tale and have empty walls in their bedroom or play area then you have found the ideal rabbit decal! This rabbit from the classic tale is available in various sizes and in 50 colours. Made from high quality vinyl. Easy to apply and remove.